After much consideration, we will be dropping one of our phone numbers. Please make sure that you have our 704-934-0015 number as your stored contact number for us. This is very important, as we want you to be able to contact us if you need to! The 704-788-2244 number will become a memory in history at the end of this month, 3/31/19. Please DO NOT TEXT JOBS or URGENT Issues. Please call the office an leave a message in those instances. This cell number is mostly used if we have to take the office mobile, request you to send photos or other info. Thank you for updating your contact information for us! Hello folks! Due to mother nature, our office is closed today. Hopefully the snow will stop and temperatures will warm up so we can take care of you tomorrow. Unfortunately, our work trucks do not do well in the snow and ice. And other drivers are out there also. Sometimes accidents just happen. Due to past experiences, we just do not run our trucks when the roads are bad. It’s just not worth the risk to our employees or our equipment. When the Cain truck pulls up, there is a Cain in it! Our company is looking to fill the position for a Service Plumber & a Plumber’s Helper. Must have VALID NC Driver’s License. With clean driving record. Must be willing to work nights and weekends on a rotating schedule. You must have transportation to and from work. 4+ years service and repair experience required for Service Plumber position. Service and repair experience is a plus for Plumber’s Helper position. Holidays, Vacation, Sick time offered after 90 day trial period. We are looking to fill a part time position, that could lead to a full time position with our company. The job includes doing some paperwork, answering phones, scheduling jobs, minor cleaning. We are willing to train the right person. No experience necessary, but must be a quick learner, as well as comfortable and personable on the phone. Some computer experience and data program knowledge is a plus. 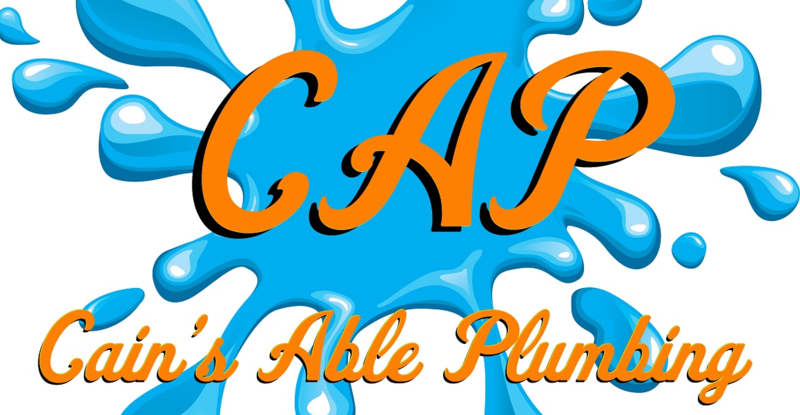 Apply online at www.cainsableplumbing.com/apply-online/ ONLY. Just an announcement about next week for our company. Sept 24th – 28th is a vacation week. Half of our crew is on vacation. Routine repairs and non-urgent issues will not be scheduled for this week. We will be scheduling for the week of Oct 1st. Emergency and urgent repairs jobs will be taken and done as needed. You may receive voicemail during normal office hours. This means that we are currently on a job, and we will return your call as soon we they can. PLEASE LEAVE A VOICEMAIL. If you receive voicemail during business hours, but do not leave a message, we will not know that you need a return call. Our Accounting department is closed during this time. Crissie will follow up with everyone when she is back in the office. We will resume business as normal the 1st of October.